A Summit on the Future Ways of Managing Employees and Workspace in a Rising Digital World! Vonlanthen Group of Companies is hosting the Future of Work & Workspace Summit in Barcelona, Spain on May 18-19, 2017. Traditional employment and workplace models are increasingly becoming outdated because of the rise of the digital world. This is forcing companies to redefine their relationship with employees and the tools they use to foster creativity, loyalty, and ultimately success in the workplace. Because of these changes, companies are looking at new ways to engage, retain, and collaborate with employees. 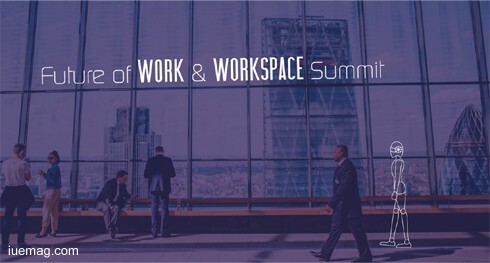 To shed light on these new challenges, we bring you the Future of Work & Workspace Summit. This Summit comes at the perfect time where the shift in digital existence is redefining our relationships with each other and how we work. The purpose of this Summit is to bring together senior leaders that are creating and operating new models of management that fit this change, so to share their implementations and experiences to manage a future workforce and workspace. We are honoured to invite you to this Summit that provides real and essential solutions for companies that are facing challenges with a new workforce, and how to create a new workspace that not only maximises employee potential but, ultimately the success of the company. Registration is open and available until May 17th, 2017. The iUeMagazine team is delighted to work with Future of Work & Workspace Summit as Online Media Partners & is expected to bring Unlimited Inspiration for all readers from the proceedings of this event. Staying tuned to the enriching updates from this event is recommended. Any facts, figures or references stated here are made by the author & don't reflect the endorsement of iU at all times unless otherwise drafted by official staff at iU. This article was first published here on 20th April 2017.